This event is the official launch of Kitty Fitzgerald’s new fable from IRON Press. The Water Thief is a highly readable shortbook; a political, ecological and cultural fable as a young girl and her father on a small island are confronted with the reality and cruelty of global market forces when the local well and water supply are annexed. For support they call upon the mythical powers of the manatee, a creature who we learn is the girl’s mother. The book is illustrated by Nicola Balfour who will also be available to discuss her artwork. 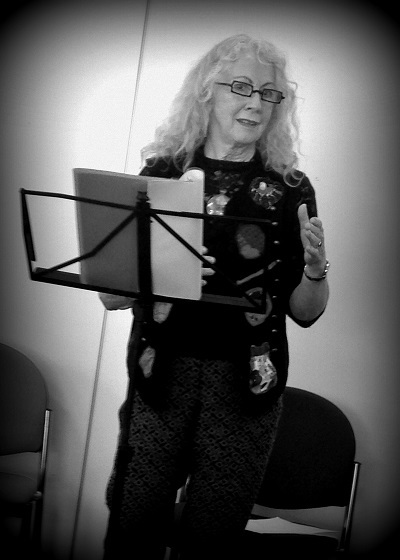 Kitty Fitzgerald has written plays for stage and radio and has published four novels, including Pigtopia which has been translated into 24 languages. IRON Press also published her short story collection Miranda’s Shadow. The Electric Peasants are a talented Tyneside twosome (Patrick Snape and Ian Briedis) whose latest CD, Someone Stole the Sky, affirms their highly individual output.